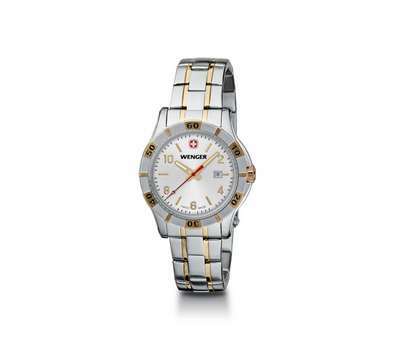 The promotional Wenger Platoon Watch Silver Dial with Two Tone Bracelet is water resistant to 100 meters. 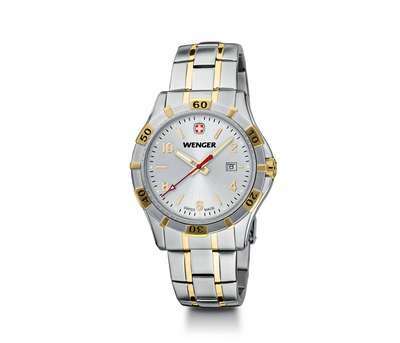 Add some class to your wardrobe with the Wenger Platoon Silver Dial with Two-Tone Bracelet watch. 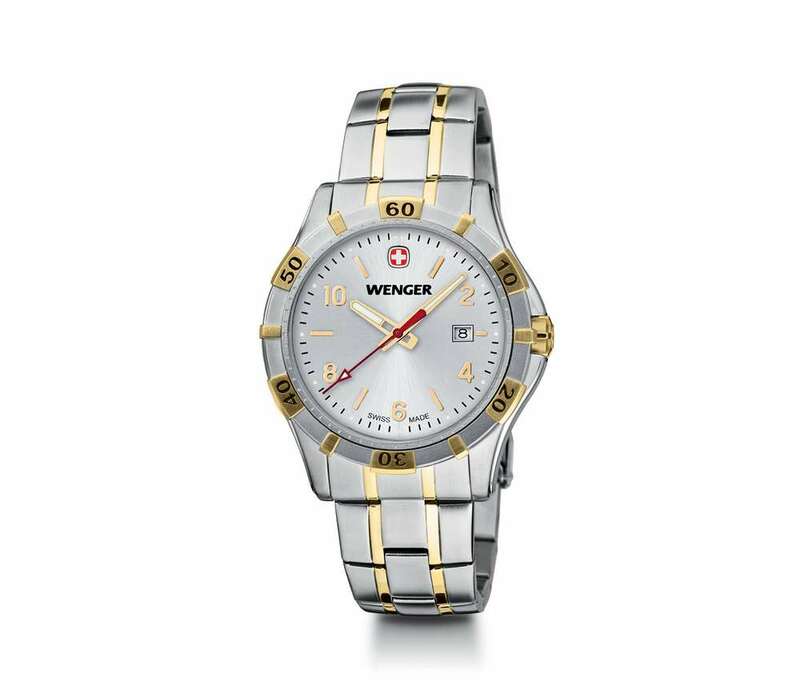 This Wenger watch features Swiss-made stainless steel case, unidirectional rotating bezel sapphire coated mineral crystal, and superluminova treated hands & marker. It is water resistant to 100 meters (330 feet). You can easily include your corporate logo and brand name to catch attention towards your business. Perfect for promotional purposes, this value priced solution is a nice option for outdoor organizations and sporting goods companies looking for impressive gifting ideas.